Having a photo printed on glass is very easy these days via the internet. Glass printing has made huge leaps in the last few years. 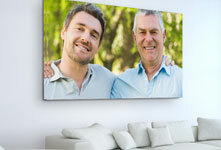 Until relatively recently, direct printing did not produce results good enough for printing photos in HD quality. Today, however, printing on acrylic glass is enjoying a veritable boom. The high-gloss finishes and individual design is very trendy right now. And putting together your own acrylic print is a very quick and easy process these days. Simply select your favourite photos and upload it to our website. Then select the desired size and thickness of the glass. Finally, enter your address and complete the order. 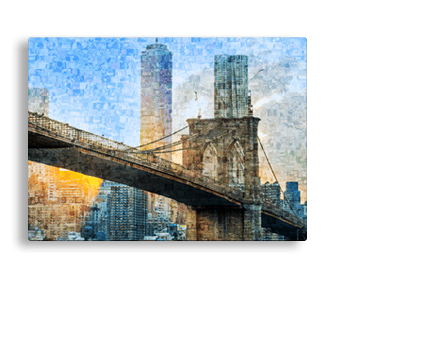 With a few clicks of your mouse, you will have ordered your very own photo on glass. 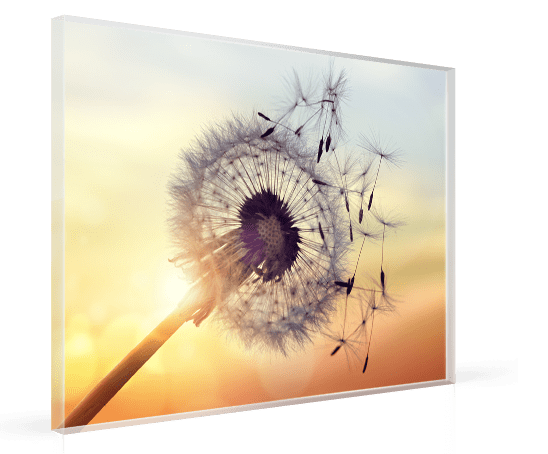 Thanks to the introduction of new printing technology, it has only become commercially possible in the last few years to print photos realistically on to acrylic glass. 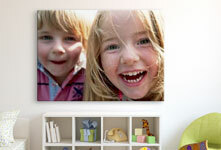 We were then in the position of being able to offer the printing of individual glass photos. Before the introduction of direct printing, posters were glued on to the backs of glass sheets. 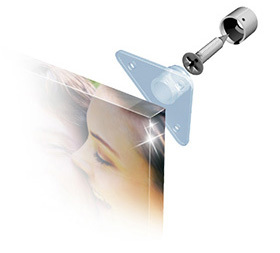 Some providers still offer this method of adhering posters as acrylic glass photo printing. 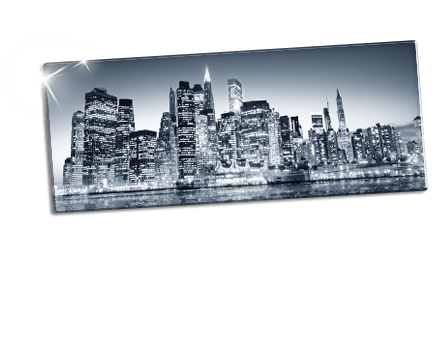 We only use Plexiglas XT for printing on glass. 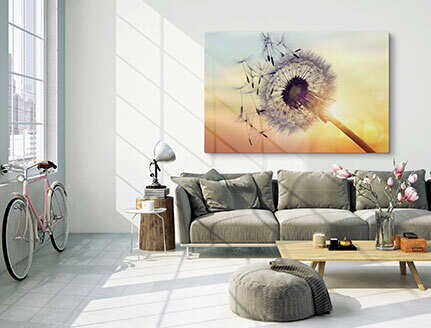 This material has several advantages over conventional window glass: Acrylic glass is more transparent, which is why the colours of the image come through better. It is lighter and so is less complicated to hang. And because it is shatter-proof, it is easier to transport and process. 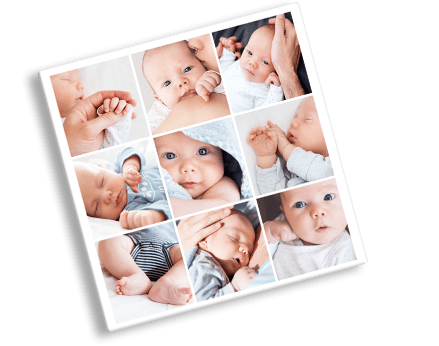 Our image upload function supports various image formats: Photos are usually uploaded in JPEG format, but even PNG files can be transferred for printing. During transfer, the system will check the image file to make sure it is in the correct file format and whether the size is sufficient to print on glass. If this is not the case, the website will reject the file. If the file is accepted for printing, you will have the opportunity to choose from various sizes. The smallest size that we offer in glass printing is 20 x 20 cm. The largest standard size is 120 x 90 cm. Additionally we offer many special sizes in glass printing. 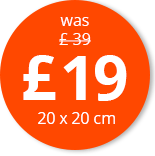 There are over 30 acrylic glass sizes to choose from. 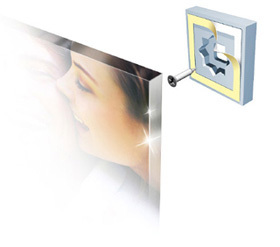 The affordable 3 mm acrylic glass delivers acrylic glass printing at a low price. 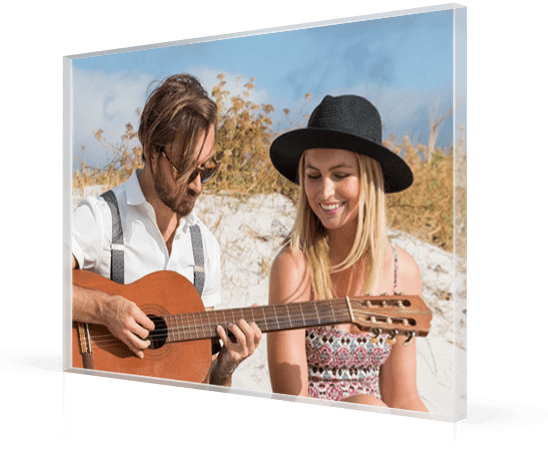 The 8 mm acrylic with diamond cut edges is acrylic glass taken to the 3rd dimension – through the 8 mm-thick glass, the photo takes on a 3D appearance. This is how the glass photo is printed. The acrylic glass goes through a direct printing process. 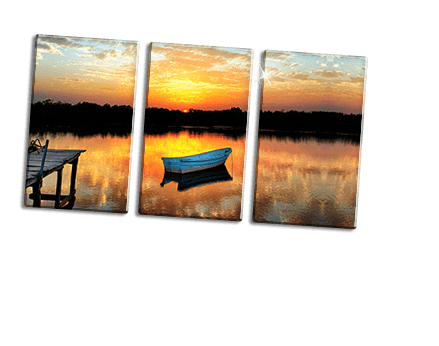 This means that the photo is printed directly on to the back surface of a glass sheet. This is carried out in 3 printing procedures. In the first procedure, the CMYK colour layer is applied. Then, an opaque white layer is applied in two procedures. 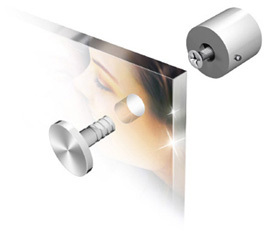 This seals the glass image from the back and delivers the white image information.